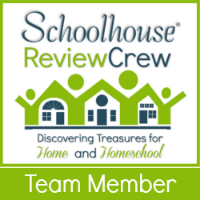 As we began homeschooling through the high school years, I found myself spending even more time on attempting to find just the right curriculum choices for each of my children. The area of science I found to be the most restrictive. We have some children who we guess will definitely go to college, others that are on the fence, and some that just weren’t cut out of the college cookie cutter shape. In struggling as a mom who has had a lot of college education, my contentment in this realization was sometimes challenged in finding a vacuum for those non-traditional high school learners when trying to fit in all those high school science requirements. This latest product review has been a breath of fresh air. I am excited to share with you what we found in reviewing High School Biology in the Home published by Science for High School. Our review is based on the High School Biology in Your Home Manuals Set. This set included the student manual pages, the quizzes and final exams test packet, and the teacher’s manual. The student manual pages are three hole punched for easy insertion into a binder and has a divider separating the weekly questions and the dissection pages. Each of the pages in both of these sections is clearly labeled at the top so that you know exactly which dissection pages correspond to which questions in the first section. The quizzes and final exams packet contains a weekly quiz as well as a final exam given at the end of each semester. These pages are also three hole punched for easy insertion into the student’s binder to keep all their work together. The quizzes and exams are printed in such a way that most students can fit their responses into the space provided without needing additional paper. The teacher’s manual is a spiral bound guide for the parent. It contains an introductory section that goes into detail about any other items that are needed, suggested resources for obtaining the materials needed for the labs, grading practices, and more. Following the introductory section, parents find four tabs that correspond directly to the student materials: First Semester Weekly Questions and their answers, Second Semester Weekly Questions and their answers, an answer key for the quizzes and final exams, and a parent guide for the dissections manual. This manual set for High School Biology in Your Home retails for $79.95. We began very simply in having our daughter put together a binder that would have the three sections needed for this course: weekly research questions, the dissecting manual, and a section to store her quizzes after they were completed. We were sure to get the necessary lab materials on hand and began with week one. This course takes a very different approach to the study of high school science, which took a little getting used to, but worked well for this particular child as I am sure it would for many others. 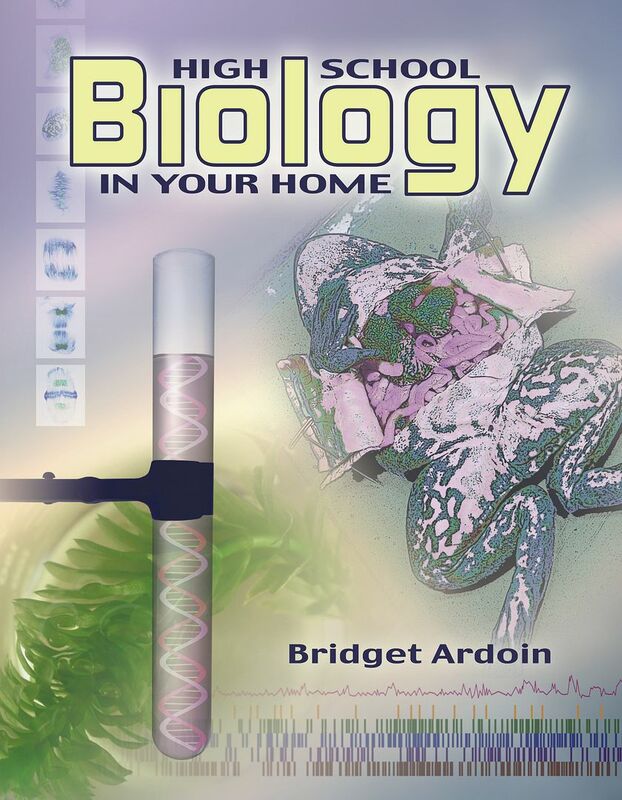 High School Biology in Your Home presents the student with a sequence of essential questions that contain the core knowledge for the topic of the week. Some weeks had as little as three questions and other weeks had about 10 questions. The student uses various resources of your choosing to research the answers to the questions presented. The thing to keep in mind is that these questions can not be answered in simple one word responses. They are questions for the student to research using outside materials. These outside materials may include internet research, materials from your local library, and biology and life science textbooks. I allowed my daughter to be self paced throughout the week in completing the weekly questions and dissection assignment. We then had a meeting time when she let me know that she was done. During this meeting time, she would share with me her responses. The teacher’s manual contains very thorough responses to each question. I would use my judgement in determining whether her response was thorough enough in providing her with a little more detail or if she really needed to go back and do some more digging on her own. When we felt that her responses were complete for her weekly questions and lab, she would be given a few days to review the material before taking the quiz on that section. There were times that we would begin work on the next set of questions while she finished studying for her quiz. This was a very different approach to science, which is something we were actually looking for. The daughter that reviewed this particular course is a child that likes to see the big picture before tackling all the details. Being able to see a short, concise list of key questions that encompasses the essential things she needs to know about the weekly topic encouraged her to then explore the details. For some kids this is critical. Opening a textbook and seeing 40 pages of facts and calculations to learn without understanding the big picture with the hope that it will come together by the end is very overwhelming. Our daughter really enjoyed this different approach. Because she is a big picture kind of gal, she really responded well to the layout of the course in studying the human body in the first semester materials and then drilling down into cellular biology and animal classification in the second semester. She was able to make the connection with the course in first studying something she could see and relate to rather than studying the cell and working her way to the larger specimens. An added bonus of this course was in further developing her research skills. She was never reading whole books, but became very focused in identifying where she could find the answers, deciding what was important, and then organizing this information into meaningful responses. These are skills that will serve her for many years to come both in her future education as well as in life. In the early weeks, she did struggle a bit in knowing how much to write or not write and needed some direction. What I needed to come to terms with was that she was not only learning science, but how to research it. This was a great opportunity to spend a bit of extra time in helping her hone her skills. The course is very manageable as a one year high school science credit. The first semester has 12 weekly lessons and the second semester has 14. This allows for some time to do some additional research and learning on either topics that are a bit more challenging or those that spark a particular interest in your child. Initially, we wished that some of the materials, especially the lab drawings had some color in the materials we were given. However, we came to realize that our daughter’s color coding of the drawings was a beneficial study technique for her. So in the end, this is something we would not recommend the publisher change. High School Biology in Your Home is something we will continue using and will probably look into the Chemistry class in the future. The research required for this course may not be for everyone, but is definitely something that works for our daughter. The lab materials needed to complete the dissection exercises can be purchased through Science for High School, but are also available through other vendors as well. Biology specimens can be expensive so I would recommend shopping around for these items. This is not an expense just for this course, but one every parent will face regardless of the biology curriculum you choose. As a parent, I loved that I did not feel like I had to already know biology to assist my daughter in this very self-driven course. All the answers to every section of this course are outlined in great detail in the teacher materials. I am also encouraged because I do feel that it focuses on truly the essentials of biology knowledge. As I said earlier, some kids will end up at Ivy League schools and others will take up a trade. A wonderful feature of this course is you can determine the level of research required depending on your student and what his future plans are. As always you don’t have to take my word for it, check out the other reviews from my fellow TOS Review Crew members.